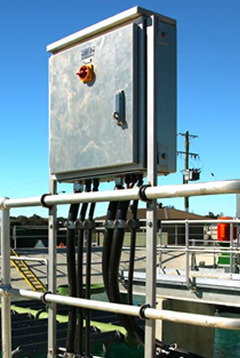 APEX Electrical Services is an electrical engineering company designing and implementing solutions for the water and wastewater industries, with significant experience in the Government sector. Founded in 2004, the company initially offered electrical contracting services. As APEX evolved in team members, so too did its services. Maintenance on electrical installation, and automation systems and instrumentation. The team includes highly accomplished electrical engineers, whose expertise in automatic control systems engineering and systems integration and configuration is second to none. Supporting the engineers is a team of skilled electricians who pride themselves on work ethic, workmanship and integrity. Safe, premium quality solutions are our prerogative. A thorough, well-planned process and project execution is what we strive to achieve for each and every one of our clients. Such an experience has transitioned each of our clients with one-off projects into ongoing, long term relationships. With over 30 years’ experience in the electrical contracting industry, including more than 12 years working in the water and wastewater industries throughout Australia, Peter has refined his business and electrical understanding to lead the company across the board. Specialising in electrical design, installation and commissioning of projects ranging from pump stations to water treatment and sewage treatment plants, his diverse skillset offers clients a great deal of foresight in the early stages of a project. As the first point of contact for APEX, Sue deals with all client enquiries, new and existing, and ensures the office and business operations are running efficiently. She has over 25 years’ experience in office administration and business management and enjoys communicating with APEX’s clientele, ensuring their needs and expectations are being met every step of the way. Formerly of NSW Water Solutions, Garrie brings a wealth of electrical knowledge and experience to the business, all of which he gained in the water and wastewater industry. He is a Water and Wastewater Control Systems Specialist, with experience in system design and control systems (PLC, RTU, HMI and SCADA), programming, configuration and commissioning. Garrie is also skilled in electrical design, engineering, site commissioning and training. 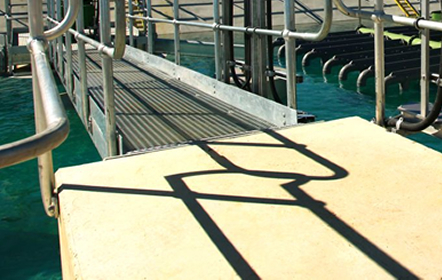 in work at pump stations and treatment plants, as well as other commercial and industrial facilities.